Handle as many data files as you need. Suitable for very large data sets (150MB or more). Extended report documentation of results in PDF report. 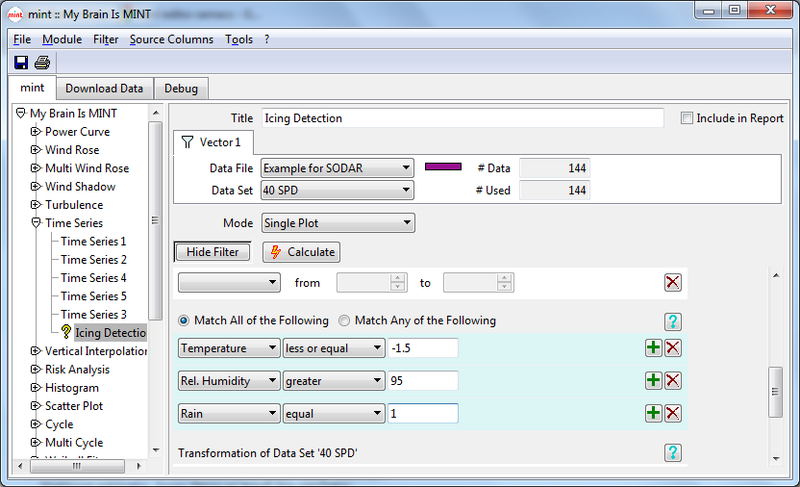 Draw wind roses, time series and others from one or multiple data sets. 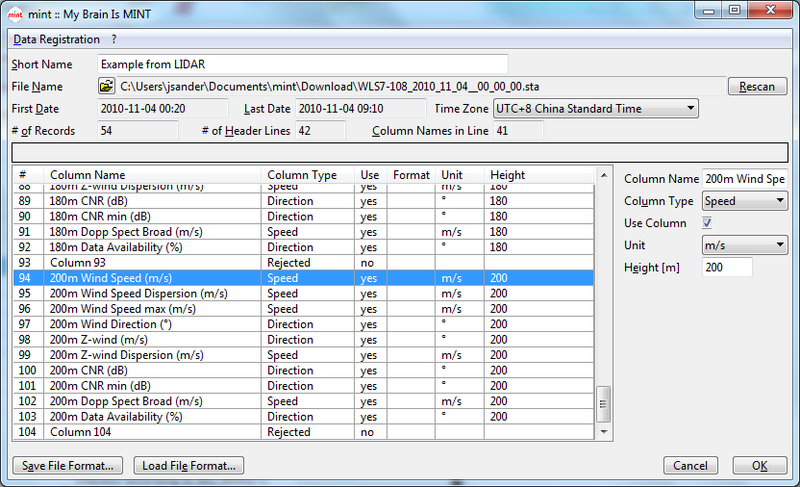 Read and analyse SODAR / LIDAR observations down to 1 second resolution. 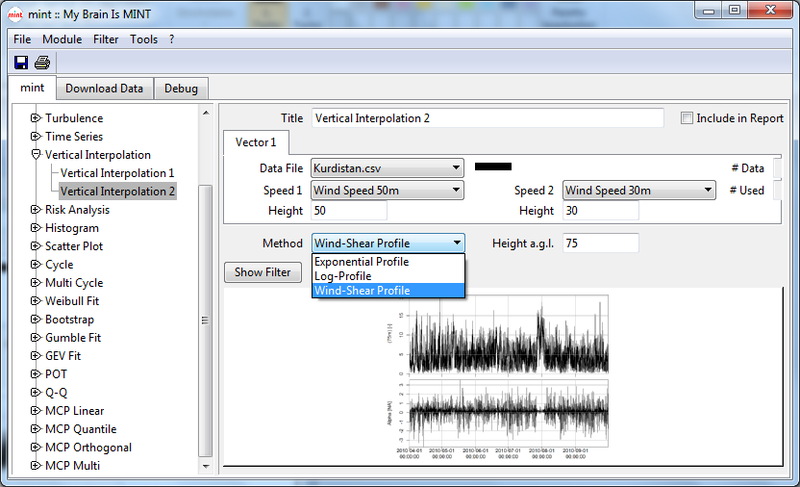 Extrapolate time records to hub height based on exponential, log-like or wind shear profiles. Use boot strapping to estimate the range of Weibull parameters. 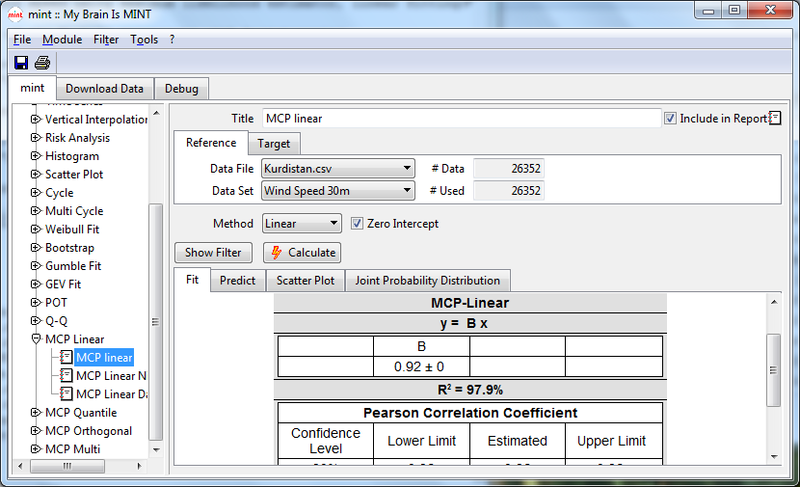 Estimate extreme wind speeds with Gumbel, GEV or POT methods. Annual energy production AEP and P50, P90 based on pure Monte-Carlo-Simulation. From simple to high-end MCP methods: linear correlation, quantile correlation, orthogonal correlation. All added with extended error analysis. Multi-variate MCP combines multiple wind records. 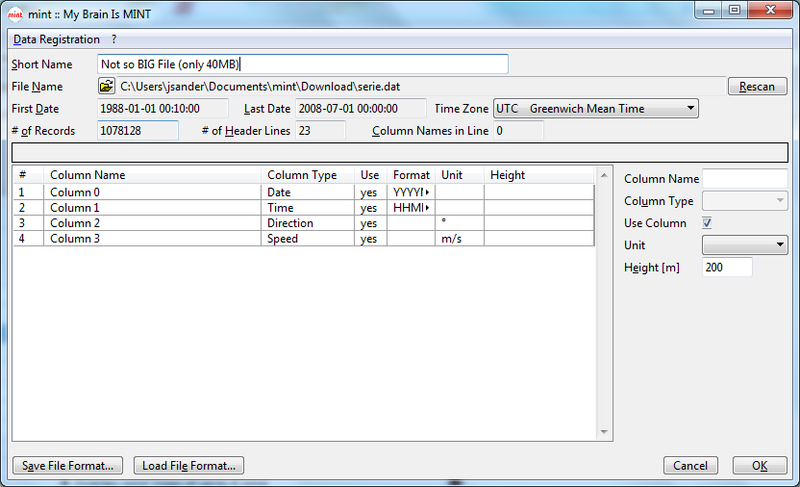 MINT - made by wind data professionals for wind data professionals.